Hello! 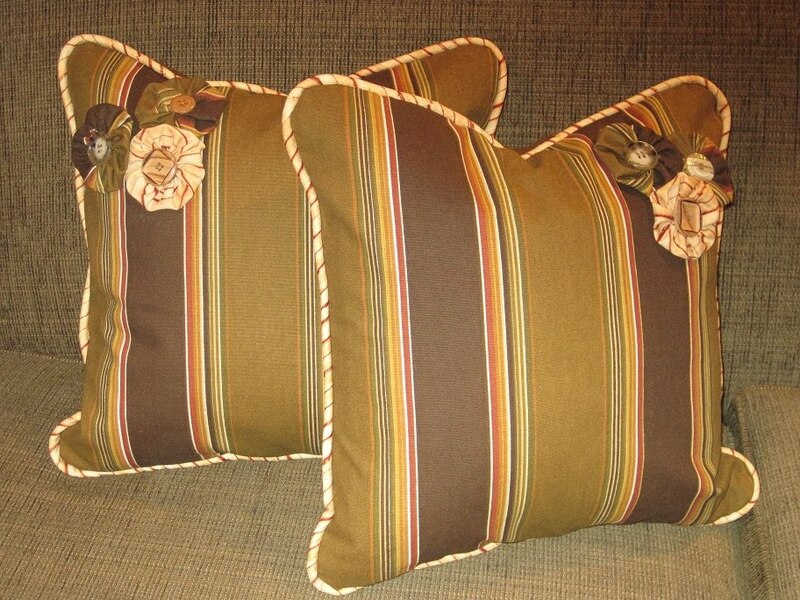 Here are a couple pillows created in Robert Allen Indoor/Outdoor fabrics. The stripe is Beachfront Marine and the shell pattern is Bongo Marine. These are 18" pillows with a zipper back. 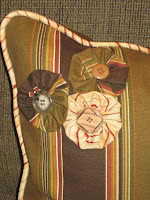 They are piped in the contrasting fabric. The striped pillow is made with 4 10x10 squares quarter turned. 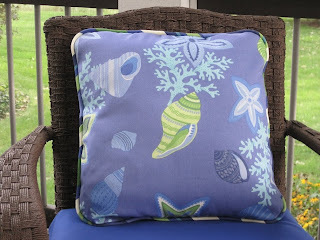 This pillow is backed with a Rhino Outdoor fabric that is waterproof. 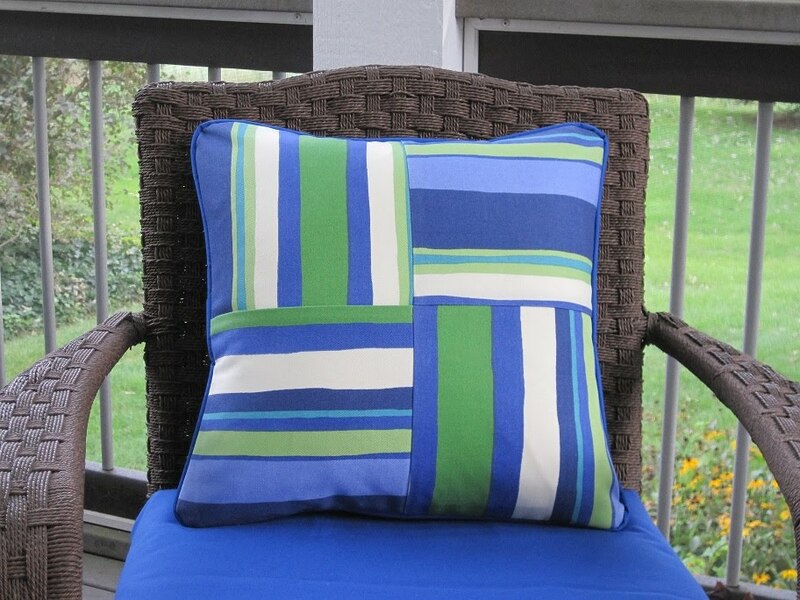 All fabrics are 100% poly which are stain, water and fade resistant. They'll be great for boat or patio. I had just enough material to make two front pillow pieces for 16" square pillows. I purchased a solid fab for the back of the pillows. The piping is actually made from the dining room gold and red fabric. I thought it worked nicely to set them off. As a finishing touch, and because you just have to do something with scraps, I cut 6" circles, basted the edge and gathered to the middle to create these cute flowers. 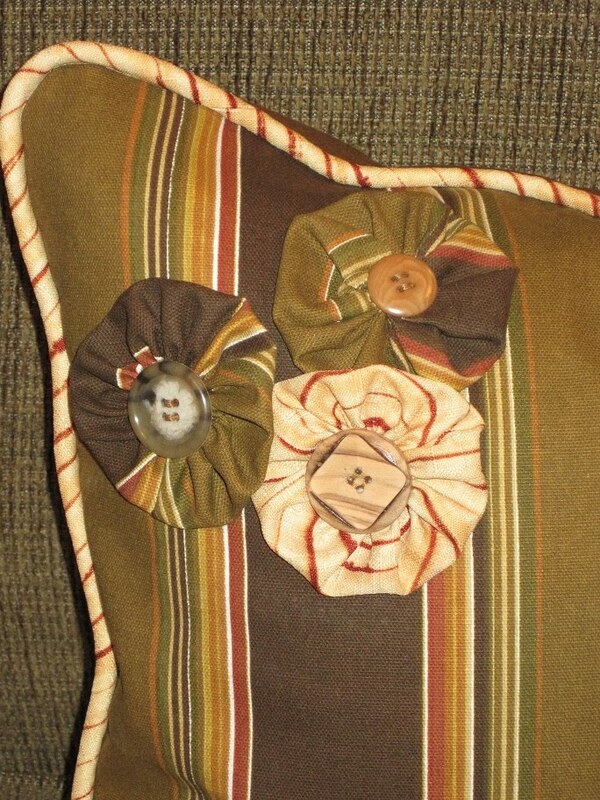 I then secured each with a 4-hole button and sewed them onto the pillows.